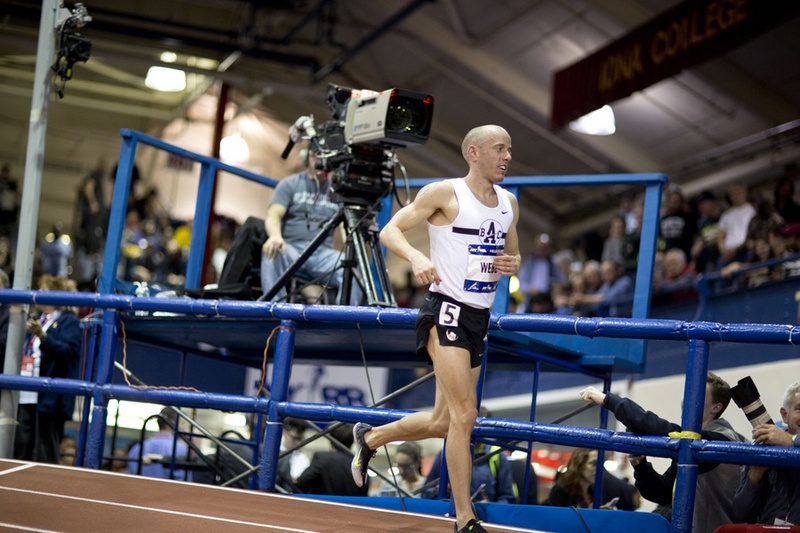 – Alan Webb after the last race of his professional track career in the Wanamaker Mile at the Millrose Games. 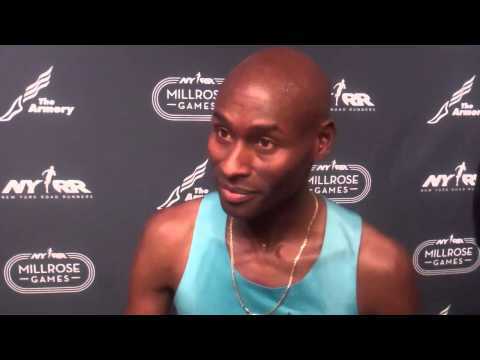 How is Lagat still dropping fast times @ age 39? 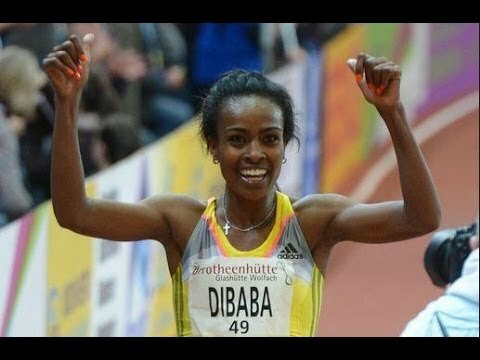 Florence Kiplagat Flies To Half Marathon World Record Of 1:05:12 In Barcelona Kiplagat took 38 seconds off of Mary Keitany‘s 1:05:50 from 2011. 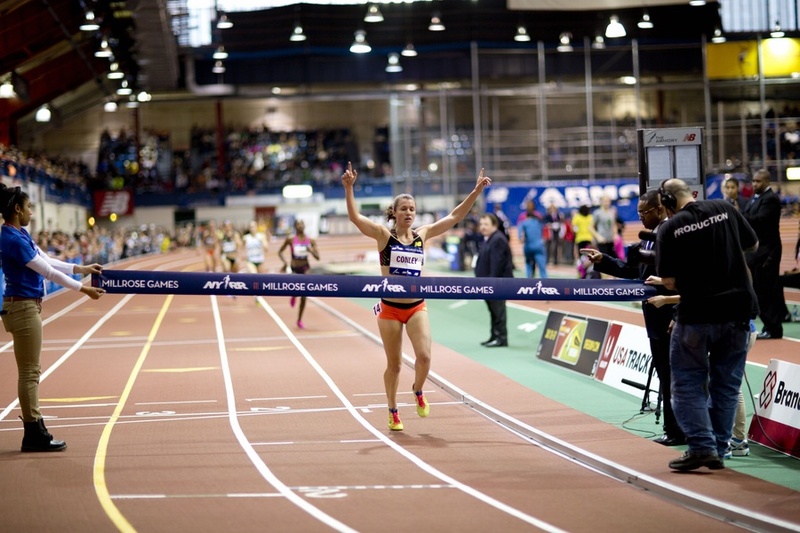 En route, she also set the 20k WR at 1:01:56, which beat Keitany’s 1:02:36. 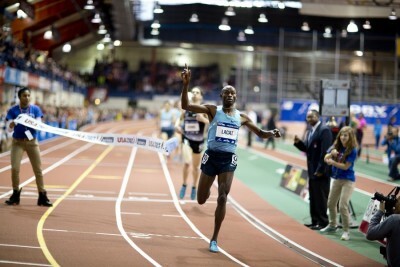 Former 5k world champ Eliud Kipchoge defended his title in the men’s race in 1:00:52. LRC World Record Holders “Dirty” Or “Clean” Doping Poll Results Without further ado, we present to you the results of our world record doping poll. 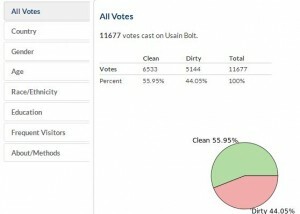 LRC The “Dirty” Or “Clean” Doping Polls: Why Did We Do Them? Many of you get it. You voted and gave us some very interesting demographic data. We think you’ll find the data very interesting. Some of you don’t get it and have said so. Here we address some of your concerns. *MB: Wait a minute! Over 40% of letsrun visitors DON’T think El G was doped up? World XC Junior Champ Faith Kipyegon And Japan-Based Bidan Karoiki Win Kenyan National Cross-Country Championships Kipyegon won in a kick beating Peris Chepchirchir and reigning World XC champ Emily Chebet as World 5,000 silver medalist Mercy Cherono was back in 10th. Karoiki beat World Junior XC silver medalist Leonard Barsoton by 7 seconds as last year’s surprise winner Philemon Rono was 6th. 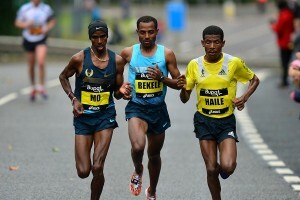 Ethiopians Feyera Gemeda (2:15:05) And Rehima Kedir (2:34:53) Win Hong Kong Marathon Neither runner was on the invited athlete list, so they paid their own travel to the meet (over $1,000) and came away with $65,000 in prize money. 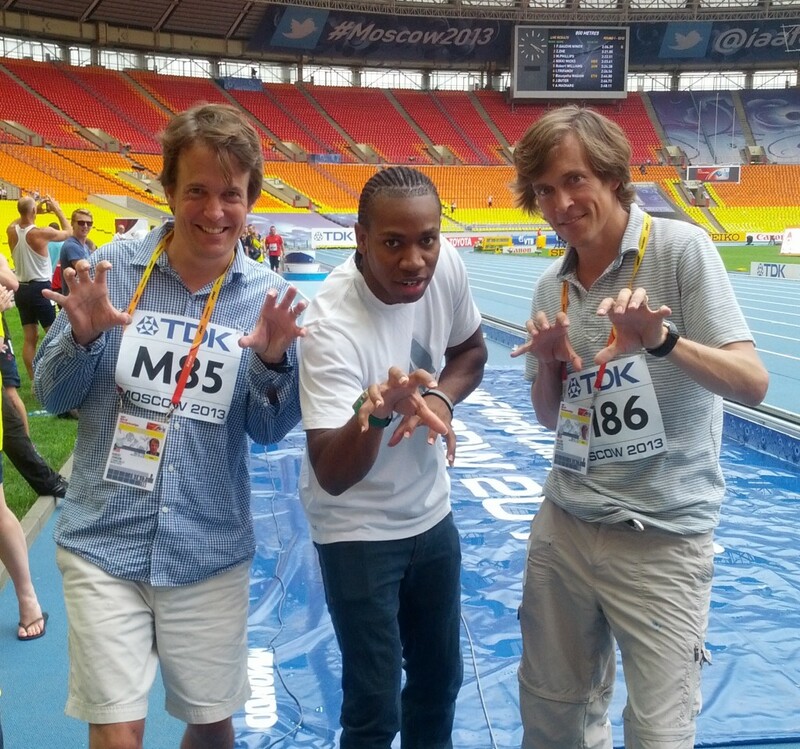 IAAF Recap: Qatar’s World Champs HJ Silver Medalist Mutaz Essa Barshim Clears 2.36m To Win In distance action, Bahrain’s Maryam Jamal won the 3,000 in 8:43.16 and the 1,500m (4:19.42). Gold, Silver, Bronze And Paper: Did You Know What The Fourth Through Eighth Place Finishers At The Olympics Get? Apparently they get a paper Olympic diploma signed by the IOC president. This one lived up to the hype. 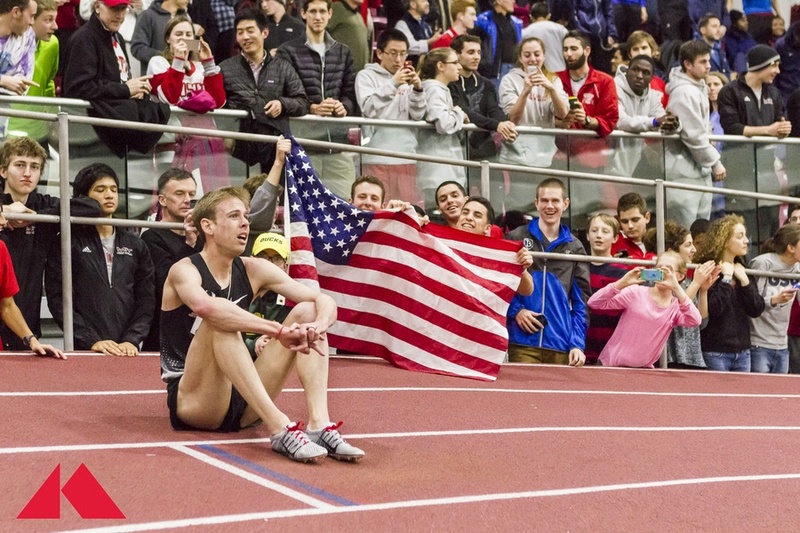 The US All-Stars anchored by Erik Sowinski just held off Michael Rutt's NY/NJ Track Club team as both teams broke the previous world record. Recap, analysis and post-race video from the 4 x 800 record setters and Robby Andrews and Nick Symmonds. 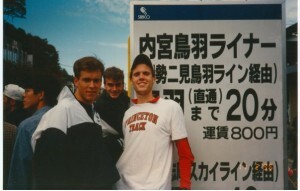 The US All-Stars anchored by Erik Sowinski set the world record in the 4 x 800 just ahead of Michael Rutt's NY/NJ Track Club team that broke the previous WR as well. Tremendous race. 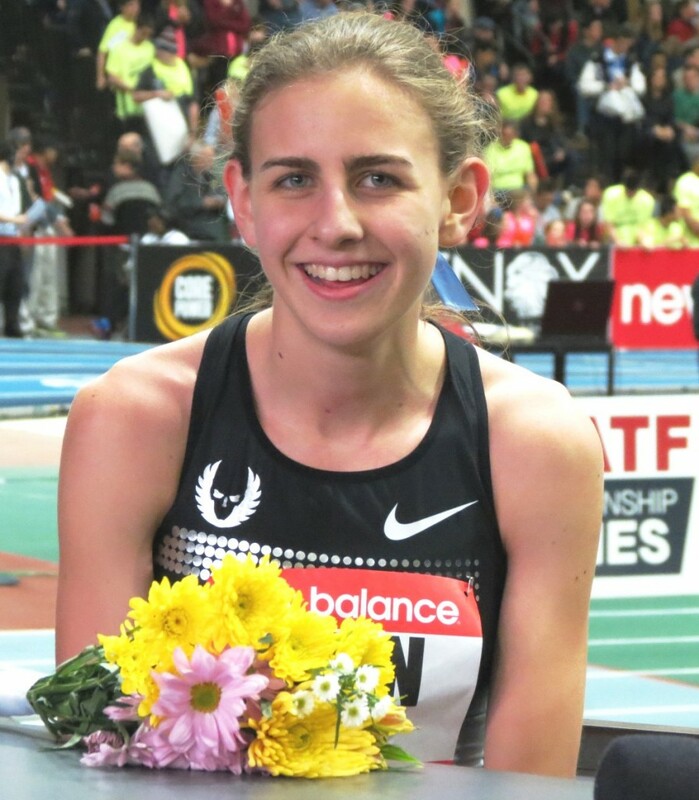 Mary Cain improved her 1,000m world junior record, Jenny Simpson kicked a lap early in the 2-mile and missed the American record as a result, Nick Willis won the mile, and Galen Rupp dropped out with a minor injury, Kim Conley dominated the 2k, and Ryan Hill placed third in the 3,000 and showed he's the real deal. 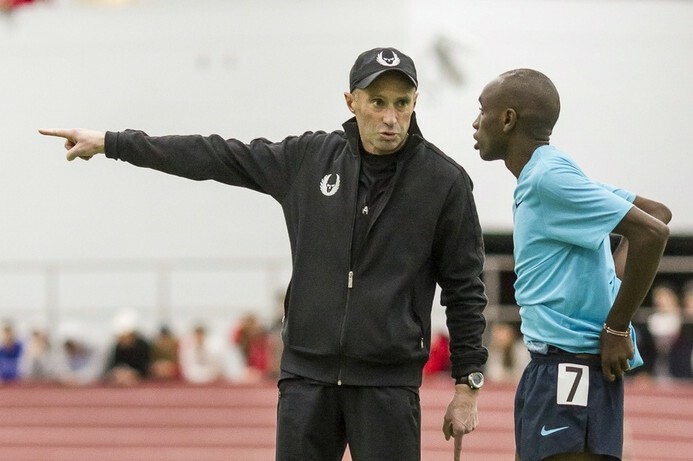 *Galen Rupp Still Did A Workout After A DNF In NBIGP Mile Alberto Salazar said Rupp was racing in an experimental pair of Nike spikes, but did a “fantastic” post-race workout in his regular spikes after dropping out. 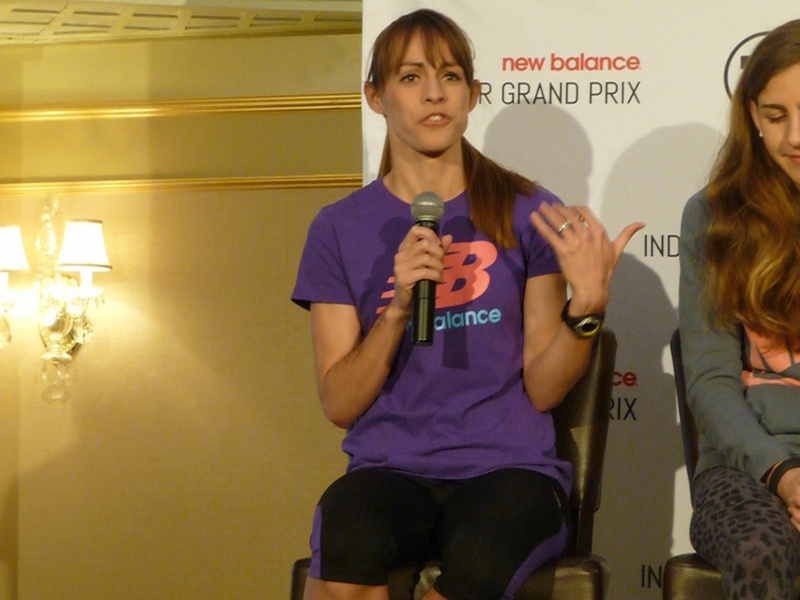 Webb, the American mile record holder, talks about his career after running one last mile in the place where he first broke 4:00. 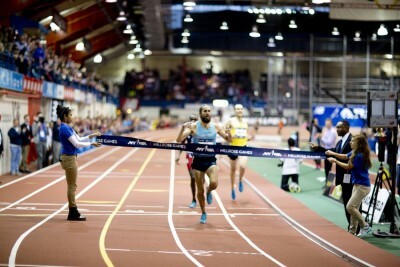 The men’s mid-d and distance action was pretty spectacular at the 2014 NYRR Millrose Games. We tell you all about it. 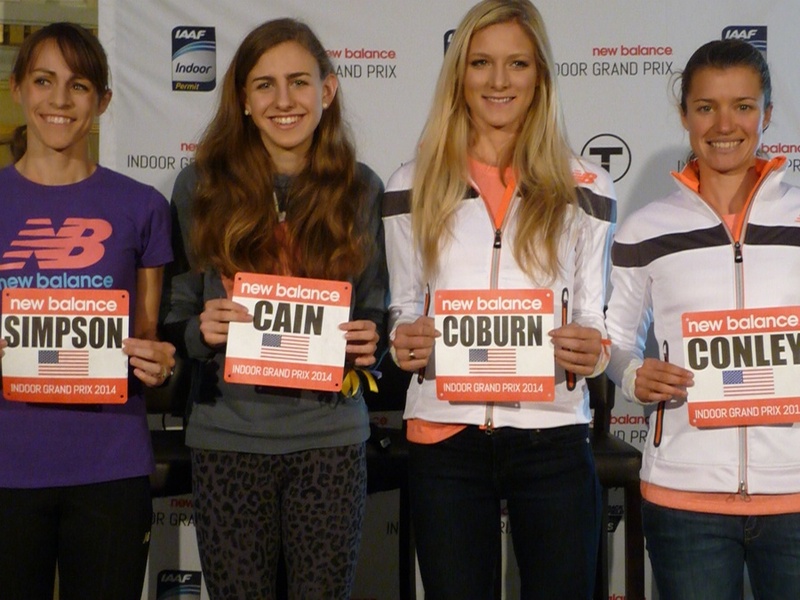 Here’s an intro – imagine breaking a 33-year-old American record and finishing 5th. 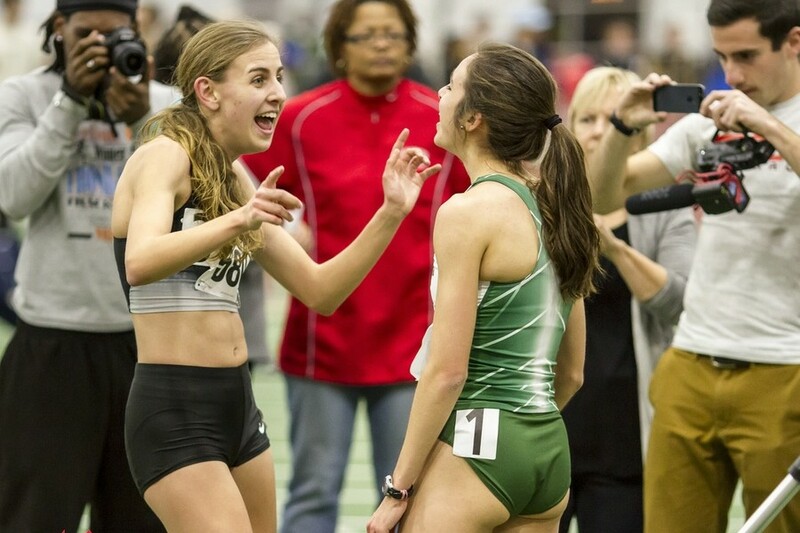 Mary Cain won the mile, Ajee' Wilson the 800 and Kim Conley the 3,000.
Who Says There Isn't Contact in Track? *IAAF Recap: US’s Olympic Silver Medalist Erik Kynard Won HJ In PR Of 2.34m Ivory Coast’s Muriel Ahoure beat Shelly-Ann Fraser-Pryce as they both were timed at 7.10. *James Dasaolu Beats Nesta Carter In 60m With World-Leading Time, But Crosses Line With An Injury It might be a strain and could keep him out of World Indoors. Yuki Kawauchi Sets CR At Kumanichi Marathon With 2:10:14 To Open His 2014 Marathon Season, Hattori Sets 30k Collegiate National Record Yuma Hattori set the collegiate national record in the 30k race with 1:28:52. With that, he also beat Kawauchi’s 30k CR from last year. 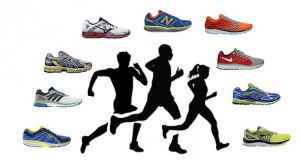 Japan Running News Recap Of Japan National Corporate Half Marathon And 10K Championships Daniel Gitau won the men’s half in 1:00:59 as Tomomi Tanaka won for the women in 1:09:24. The women’s 10K was won in 32:27 by Kasumi Nishihara. 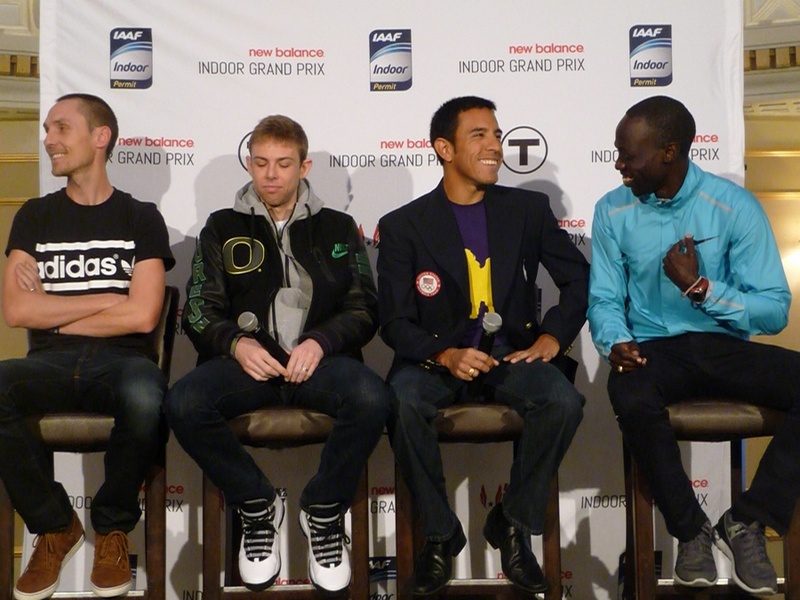 Lagat 4:54, Levins 4:55, Torrence, Bumbi, Jager 4:57 - mile/1500/3000 equivalent? 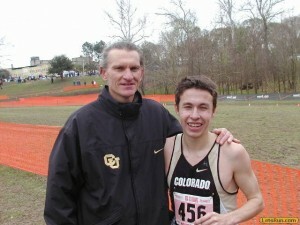 Ben Saarel 3K American Junior Record? 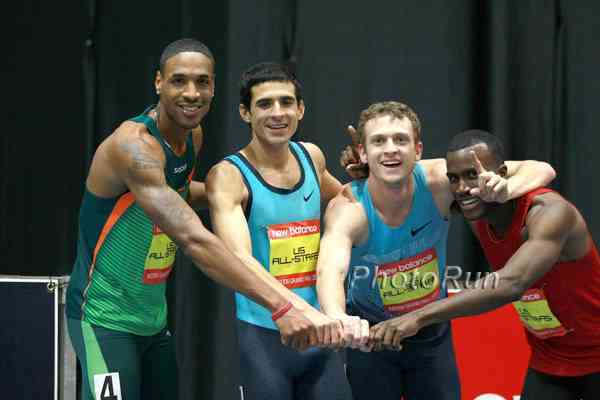 Nick Willis won the mile as Galen Rupp dropped out and Leo Manzano got last place. 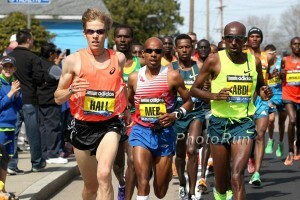 Hagos G won the 3k, but the big news was Ryan Hill has officially arrived. 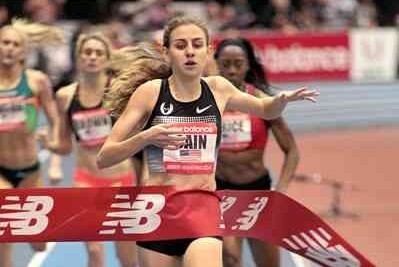 Mary Cain keeps rolling, Jenny Simpson entertained, Treniere Moser is going for it, Chanelle Price keeps improving and Kim Conley is crushing everyone. Analysis and video interviews. France’s Olympic Champion Renaud Lavillenie Breaks Sergey Bubka’s 21-Year-Old Pole Vault WR With 6.16m Lavillenie did it on his first attempt and in Bubka’s home town as the IOC man watched on. 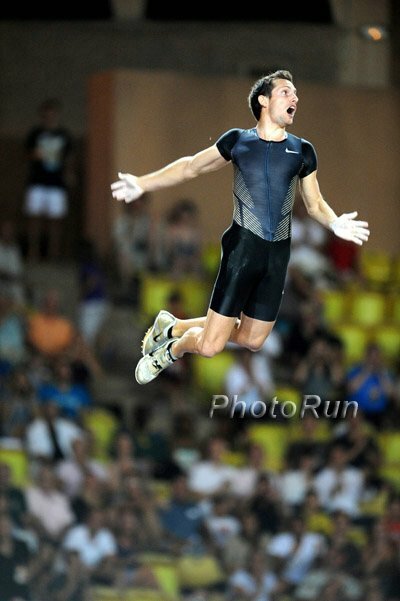 Lavillenie’s 6.16m is the best vault indoors or out as Bubka had gone over 6.14 outdoors and 6.15 indoors. Lavillenie Doesn’t Plan On Stopping After clearing 6.16m, he did take one attempt at 6.21m, but fell before he could complete it and actually injured his ankle having to go to the hospital for stiches. 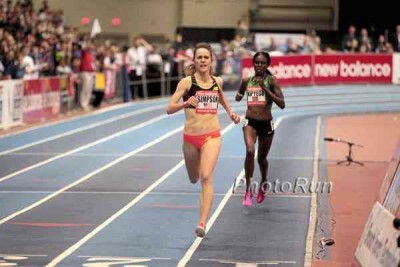 Iowa State: 2014 Iowa State Classic: Live Results, Start Lists, Schedule Highlights: Iowa State’s Edward Kemboi won the 800 in a US-leading 1:45.98 as Phoebe Wright won the women’s race in 2:03.39. 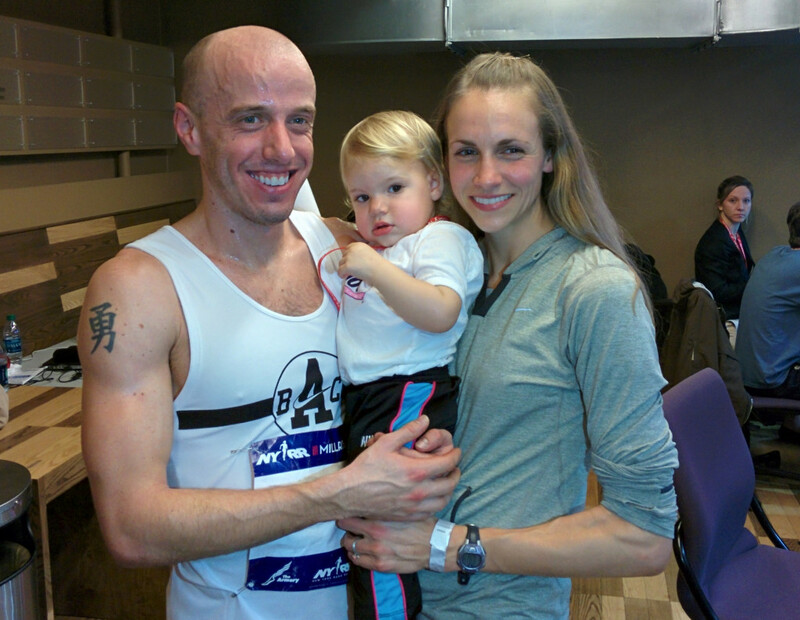 Virginia’s Adam Visokay ran 7:57 to beat Craig Forys (7:59), Stephanie Garcia won over a competitive field in 9:11. 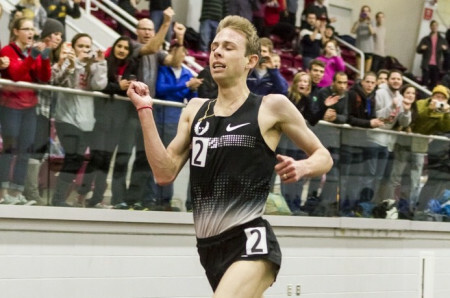 9 broke 14 in the 5,000 as Wisconsin’s Reed Connor broke Adam Goucher‘s faciliity record, winning in 13:37.42 over Villanova’s Patrick Tiernan (13:37.73) and Shadrack Kipchirchir (13:40.92), Duke’s Juliet Bottorff won the women’s 5,000 in 15:49.80. DII Runner Drew Windle Runs Fastest 800 In US This Year With 1:46.52 MB: 1:46.52 800m D2 INDOOR!!! 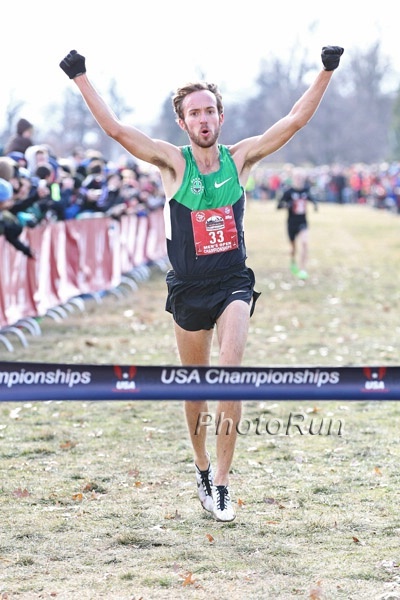 – Way to go Drew Windle!!! 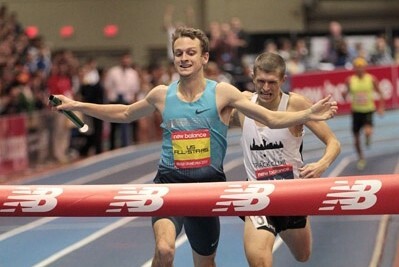 MB Archive: No love for 1:48.75 sophomore Drew Windle?! Three School Records Fall Friday As Ducks Begin Weekend Mike Berry in the 200 (20.84), Phyllis Francis in the 200 (22.92) and Greg Skipper in the weight throw with 68-3 (20.80m). Long Jump Olympic Champ Greg Rutherford Says “I’ll shut my critics up by jumping far.” He was responding to some former GB pros who said he got lucky by winning in London 2012. 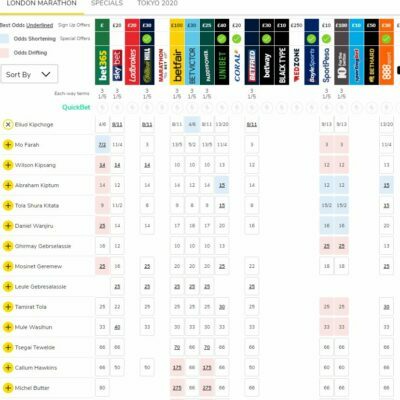 UK Multi-Event Star Katarina Johnson-Thompson Might Miss World Indoors After Pulling Out Of Qualifying Event With Illness She’ll now have to hope the IAAF selects her as the one wild card spot for the pentathlon, otherwise she won’t go. 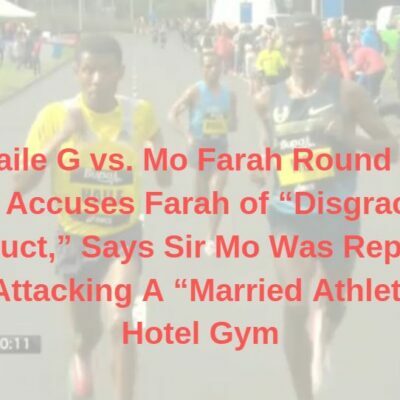 WADA Outraged At Release Of Untested New Drug Apparently a Russian scientist offered to sell the potent and undetectable new muscle-building drug to undercover journalists. Trial Date Set For Boston Marathon Bomber The trial starts November 3rd and is expected to go 3 months. 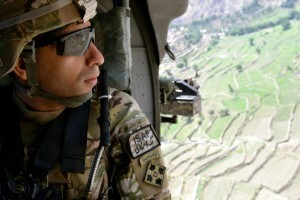 Prosecutors will be seeking the death penalty. Oscar Pistorius Sends Out Valentine’s Day Message Of Regret Over Dead Girlfriend On One-Year Anniversary Of The Shooting It was his first public statement in a year. 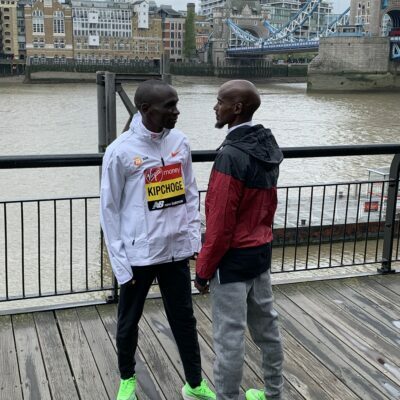 International Athletes Given Tax Exemption For Glasgow Grand Prix This Summer The UK’s insane tax laws often keep Usain Bolt and other huge stars from competing there. GB’s Olympic Long Jump Champion Greg Rutherford Says He’s Going To Try Out Bobsledding After 2014 Commonwealth Games If he’s good, he wants to try to win a gold medal at the 2018 Winter Olympics. 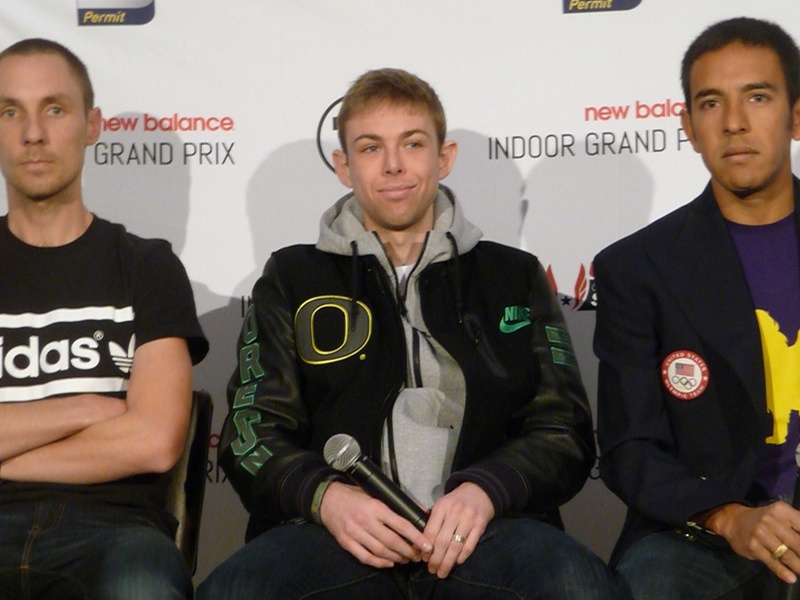 LRC Leo Manzano Reveals He’s Now Self-Coached, Hoping To Represent USA At 2014 World Indoors We flew up to Boston a day early and are glad we did as the pre-race press conference certainly was informative. 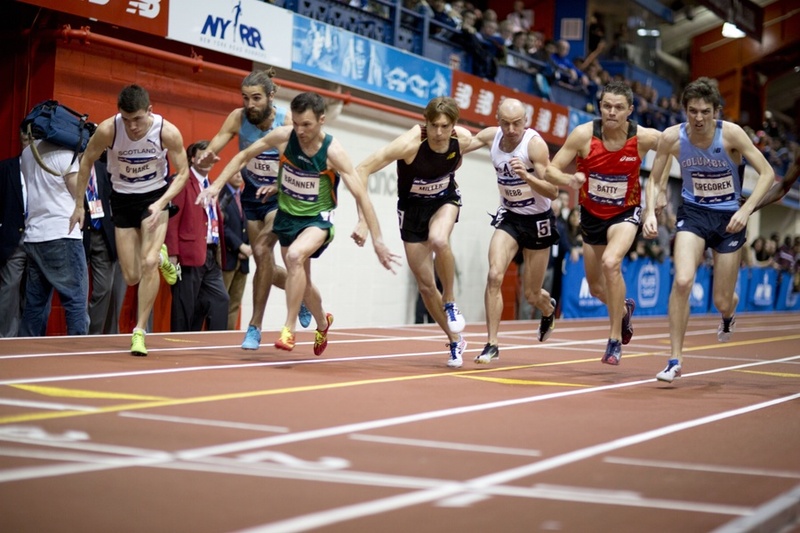 Ryan Ponsonby is no longer coaching Leo, who is looking to hit it hard in indoors this year. 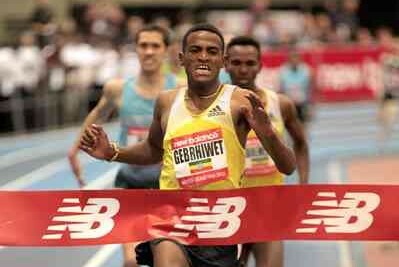 Guess what he ran recently for 1k in practice? 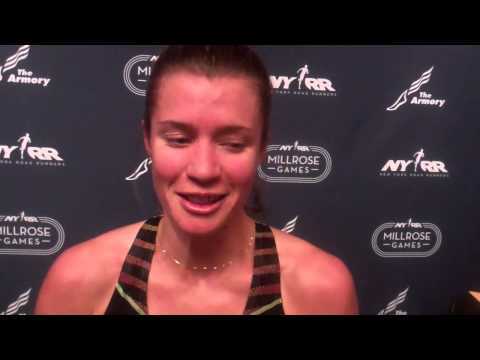 LRC Jenny Simpson Talks About Genzebe Dibaba’s World Record And Her Own Fitness Prior To 2014 New Balance Indoor Grand Prix Simpson thinks she’s in real good shape, but reveals she won’t be doing World Indoors. 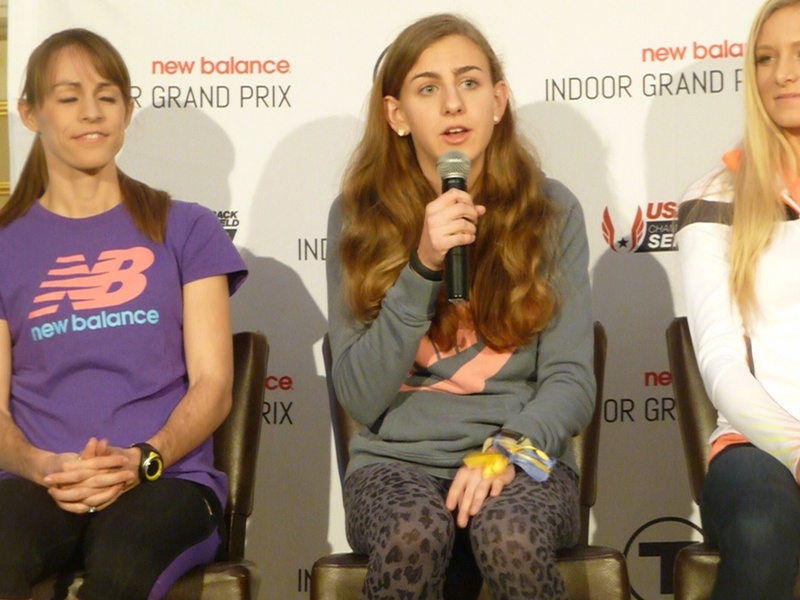 LRC Mary Cain Talks About Alexa Efraimson And A Possible American Record In The 1,000 Tomorrow Cain reveals she’s willing to skip graduation to run, but not her AP exams.